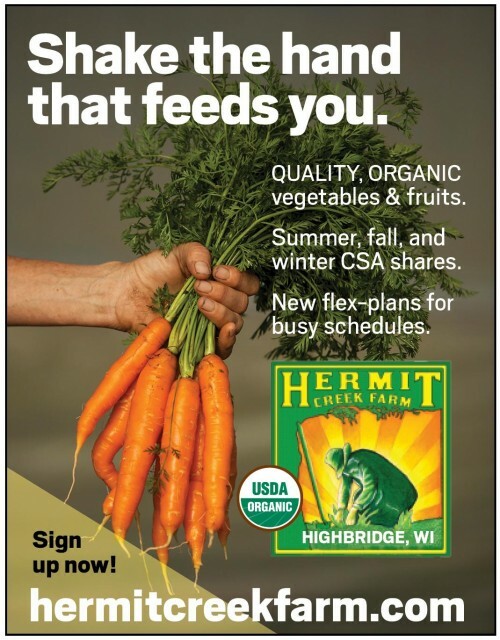 Hermit Creek Farm is located about 19 miles south of Ashland, WI. If coming from Ashland, go south on Hwy 13, continue past Marengo about 3 miles to North York Road. Turn right (south) on North York Rd and continue 3 miles to the junction of Spring Brook Road. Turn right (west) on Spring Brook and continue 1.5 miles to our driveway, #65554, at the bottom of a steep hill (known locally as "Poysa Hill") on the right. If you are coming from the south on Hwy. 13, continue north through Mellen and High Bridge to North York Rd, turn left on North York Rd and continue as described above. When you get to the driveway, it's forested at this point but come on in, the farm is just ahead. Park near the sugar house (first building you come to) and walk up the drive through the gate. The dogs, all border collies, won't bite but may herd which can include a nip at the heel! Just ignore them, if you can, they likely want you to throw a ball or frisbee for them. And watch for them as you drive. Coquina, (aka Beans) is waiting to greet you. We're likely around so if you don't see us, just look. Can't find us? We might also be working at our Broeniman Road property so go back out the driveway, turn left, go about 2 miles to Broeniman Road, turn left, go about 1.5 miles to driveway on left, fire #37099.